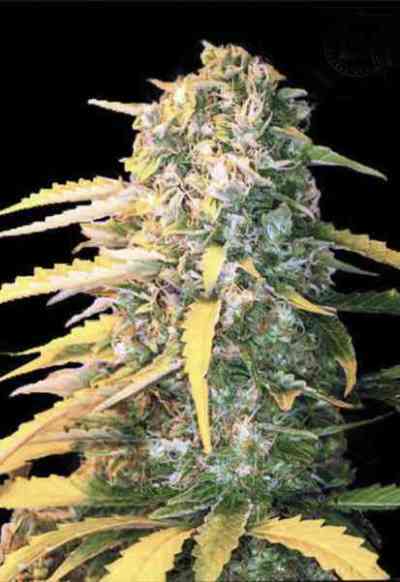 Kushmatic is an auto-flowering alternative proposed by Tropical Seeds Company, in the form of regular seeds. It all started of the auto flowering marijuana Pakito line developed by Tropical Seeds from a Pakistan Chitral Kush 06 clone which, once stabilized, was crossed with a selection of the best auto-flowering strains of the market for get so a wide diversity of structures , tastes and effects. The seeds produced like that were selected and cultivated for several generations in order to discard the less interesting phenotypes to follow only with the quality plants from both a psychoactive as well as an organoleptic perspective. 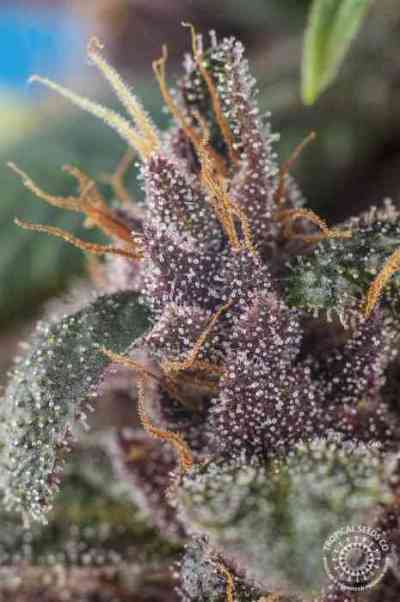 Kushmatic is so a whole of mixed phenotypes, which offers a majority of purple plants, inheritance of the Pakistan Chitral Kush genetics, which will reach 50 to 80 cm and will need between 70 and 80 days from germination to reach maturity, and so provide an average harvest of 20 grams per plant. Plant pots of 3 to 7 liters will generally be enough to get well-developed plants, due to their limited growth. It’s one time arrived the moment of tasting when Kushmatic reveals all its interest and potential, thanks to a diverse range of aromatic undertones passing tones from Skunk to Diesel, and releasing fruity fragrance from greater to lesser intensity depending on the plants, allowing us to don’t get tired of the taste, making vary the sensations when we smoke it. The effect will be averagely pronounced, of Indica type, relaxing.